How can my choir apply for participation in Choral Fest Costa Rica? Fill out the application form. Send a recent recording of the choir (YouTube, MP3), a proposed repertoire of maximum 30 minutes, a short biography of the choir and conductor, a recent photograph of choir and conductor. 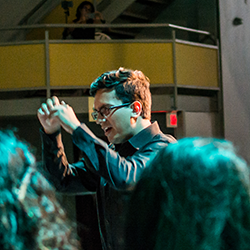 There is no cost in applying for the International Choral Fest Costa Rica. Once you have applied and been accepted to participate. There is a per person participation fee, which includes: concert promotion, land transportation on site, accommodations, most meals, sightseeing excursions, tour/festival guide all as indicated in Festival Participation Fee description. How do we know we are accepted to sing at the festival? Two weeks after sending complete application, you will be notified if your choir is accepted to participate. Particular attention is paid to the quality of performance presented on recording submitted. 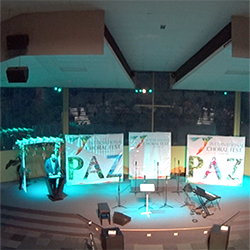 Are prizes awarded during the Choral Fest Costa Rica? 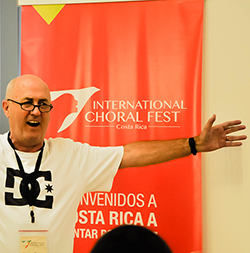 The International Choral Fest Costa Rica is a non-competitive event held in a relaxed atmosphere. We welcome singers from around the world in a relaxed atmosphere to have fun, learn from each other and our workshops. What is the best way to get to Costa Rica? First fly into San Jose, Costa Rica: airport code SJO (Juan Santamaria international airport) Airlines: American Airlines, Interjet, JetBlue, United Airlines, Delta, Southwest Airlines, Spirit Air, Frontier, Air Canada, Mexicana, Aeromexico, Avianca, Copa, Iberia, Condor, British Airways, Air France. Upon your arrival we will meet you at the airport. Is a visa required to enter Costa Rica? Citizens of all countries require a valid passport (6 months at least) to enter Costa Rica. Visas are needed by certain nationalities, but for most if you have a USA and/or Shengen visa no need to request a Costa Rican visa. Citizens of the USA, Canada and most Latin American, European countries and Japan may stay for 90days. Costa Rica holds very high health standards. 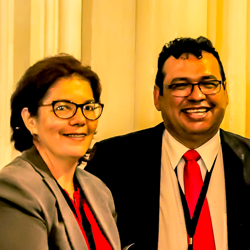 Travelers coming from Bolivia, Brazil, Colombia, Ecuador, Peru and Venezuela, whether coming from home countries or only transit must have the Yellow fever vaccination put. This also includes nationals of some African countries. Pack light, travel light. Although you will have to bring your choirs outfit(s), but aside from that casual clothing such as shorts, t-shirts, comfortable shoes, swimwear, an ample supply of your favorite toiletries and health remedies are recommended for your personal comfort. Should we exchange money to local currency? We use Costa Rican Colones. USDollars and Euros are among the currencies that can be easily exchanged for local currency. There are ATM's available to withdraw USDollars or CRColones. Major credit cards are accepted widely in the country: Visa, MasterCard. Do you offer vegetarian/vegan food? Yes, please forward accurate information about choir participants needs to fulfill accordingly.